The cilcular lifting magnet type EO is intended for lifting and handling of ferromagnetic materials: blocks, castings, sheet and wire coils with vertical axis and ferrous scrap. 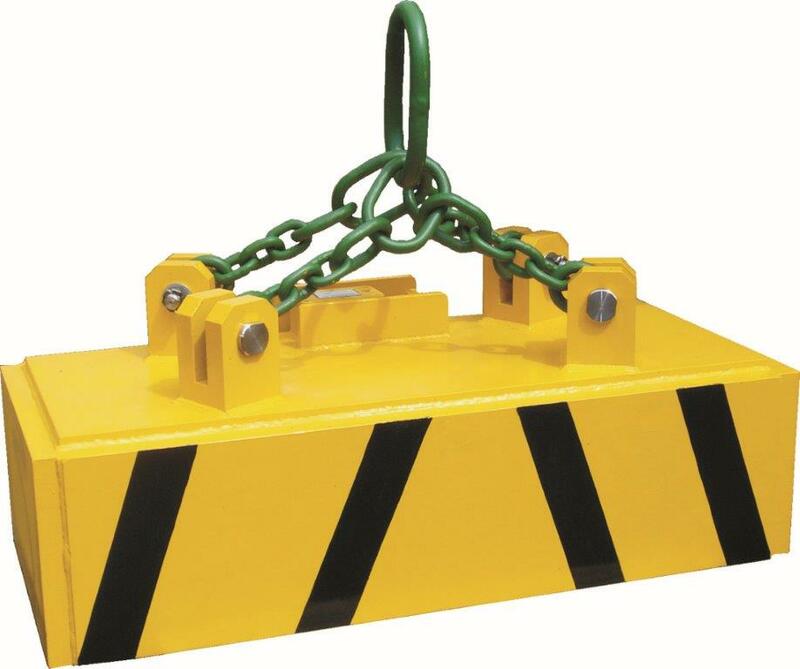 The rectangular lifting magnet type EP is intended for lifting and handling of ferromagnetic materials: sheets, slabs, billets, pipes, channels and other sections, sheet and wire coils with horizontal axis. 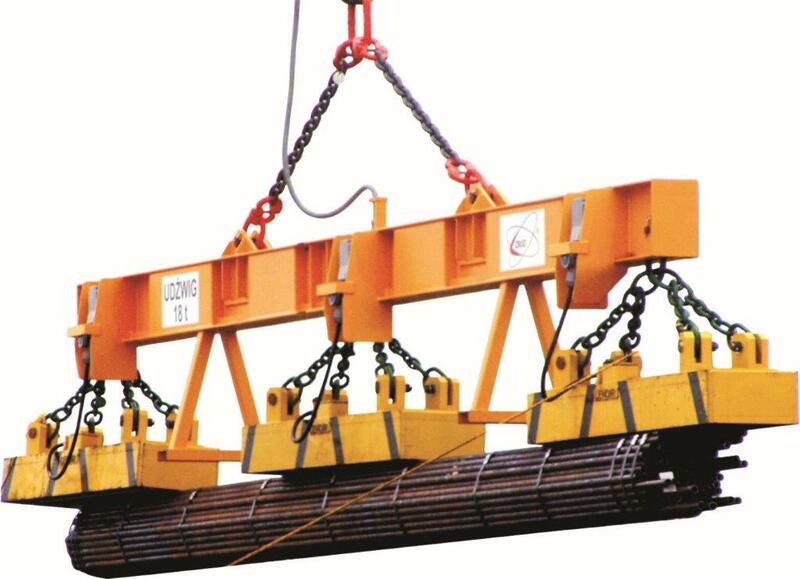 Set of lifting magnets mounted on the common cross-beam are intended for transport and reloading of long sheets, reinforcing bars, rails and sections. The permanent lifting magnet type CMP is intended for lifting, handling and positioning of elements made of magnetic steel. The magnetic conveyor type TM is intended for transport parts made of ferromagnetic steel up steep incline, vertical or inverted position. 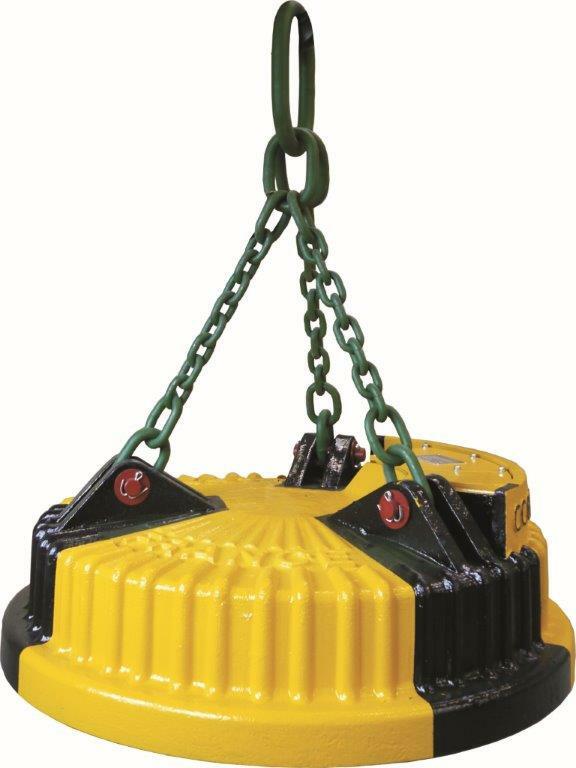 We prepared for you two types of electric lifting magnets: round and rectangular. 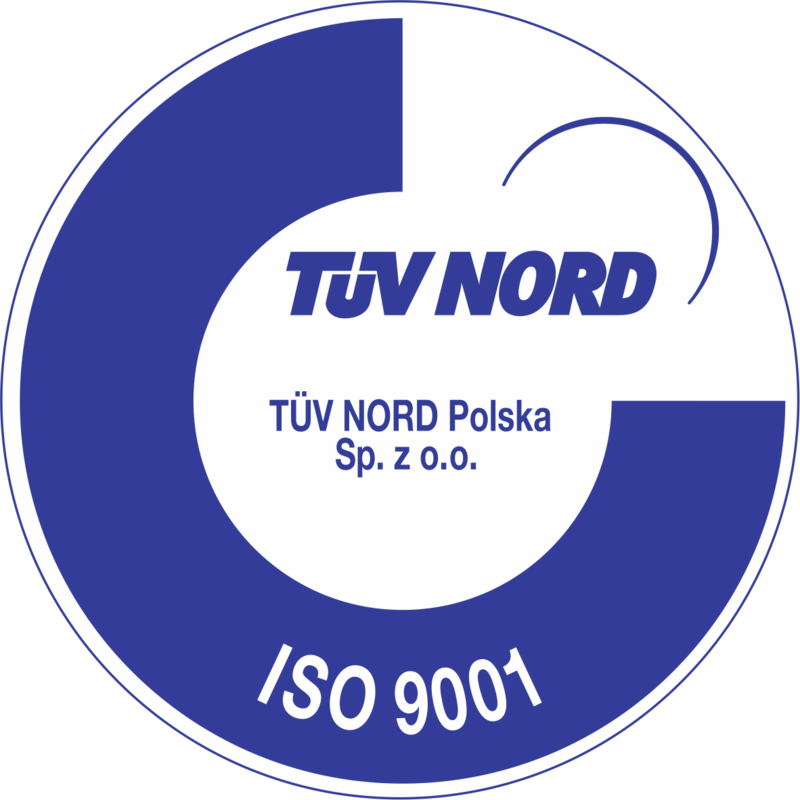 The first kind is intended primarily for the transport of scrap metal, castings or sheet coils, while the second one is mainly used for transporting long elements such as rods, pipes or profiles. - the ability to adjust the power of the gripper. - battery backup system for emergency power supply, allowing the gripper to operate during a power outage. Permanent lifting magnets are used for transporting elements made of magnetic steel. Orders for this type of equipment are often made by enterprises operating in the food industry. They use them e.g. for palletizing jars with lids made of magnetic metal or canned products. 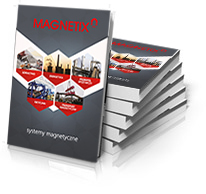 The main advantage of using Magnetix products is their convenient fixing method, which we adjust to the individual requirements of customers. Very often they are installed on various types of industrial robot manipulators. In addition, the magnetic field in these devices is switched on and off by a pneumatic mechanism (without a power supply). 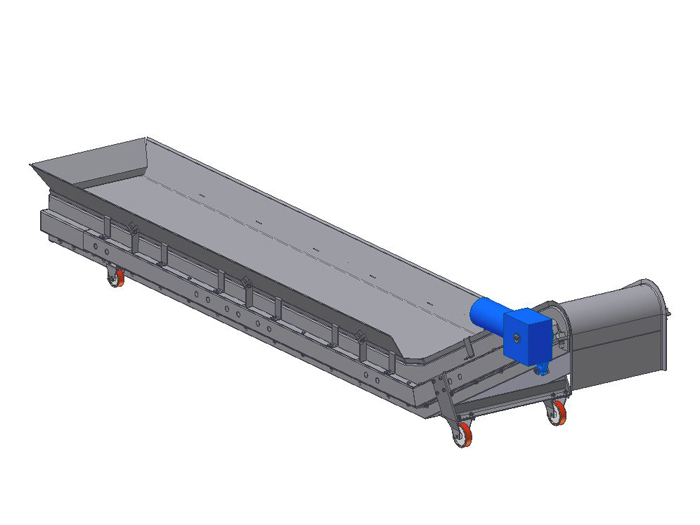 Magnetic conveyors are used for transporting finished and semi-finished products, especially those requiring lifting and moving over long distances in a difficult position (including vertical or inverted) at various angles.